The resume is an effective way to demonstrate a positive first impression and a document that contains your experience, education and all of the reasons that the employer would want to make you a part of the nursing staff at their organization. There are certain things that should be considered while creating the resume, especially while applying for nursing positions. With all professional resumes, it is important to remember to keep the length one page or less. It is important to ensure that the font that is used through the resume can be easily read and understood. 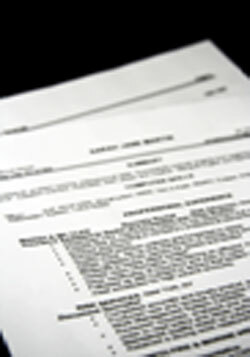 Black ink should be used through the resume, and fancy fonts including scripts and colored inks should be avoided. Are you seeking something to set your resume apart from the multiple other applications that are revived? Although colored paper is not recommended, making use of a high quality paper that is accompanied with a bold headline through the top of the resume can be an effective way to make a memorable first impression. Using the services of a human resources or resume consultant can be an effective way to ensure that you are able to make the best first impression. This professional advice can allow you to create an excellent resume that catches attention in the right way from employers. While designing the resume, it is important to consider that this is the first impression the employer has of you, the potential staff member. Using an organized and memorable, but professional design can go a long way in creating success when it comes to the job that is being applied for.